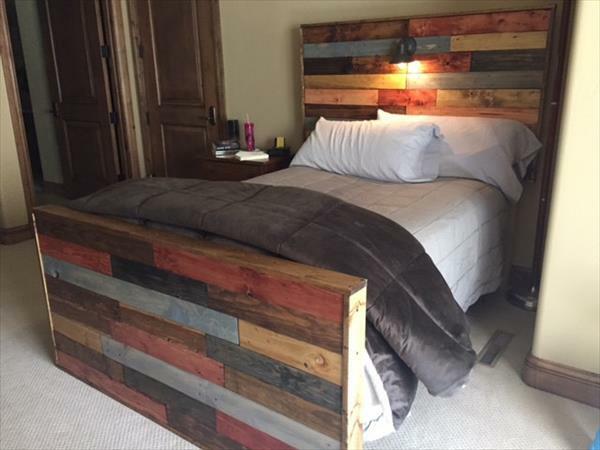 Headboards have become the craze of the people for their growing popularity and the wide versatility in which they come to captivate you. 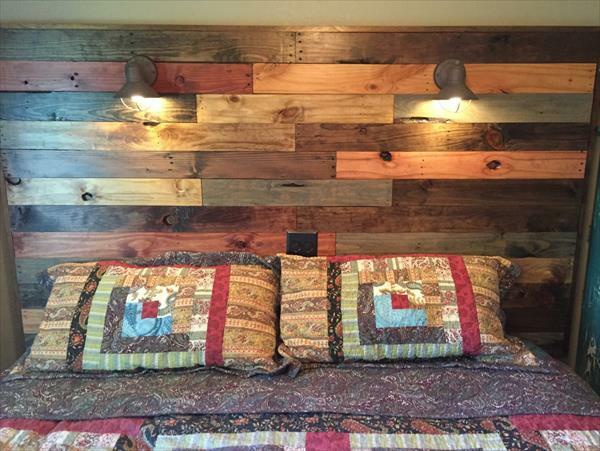 Headboards are now made more functional and practical in use to attract more and more consumers this DIY pallet headboard with lights is the example. 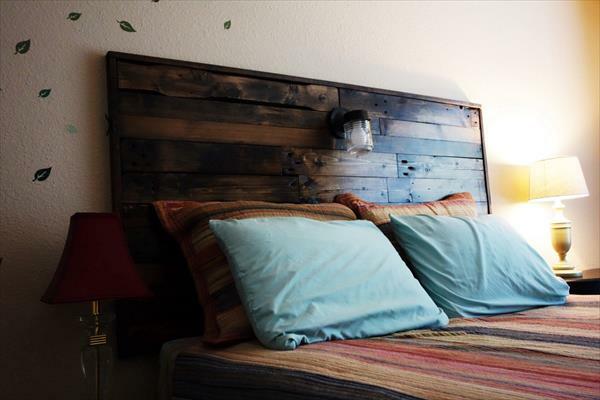 This awfully gorgeous queen size headboard has been installed with the stacking of the pallet slats, which have become a local resource of wood now. 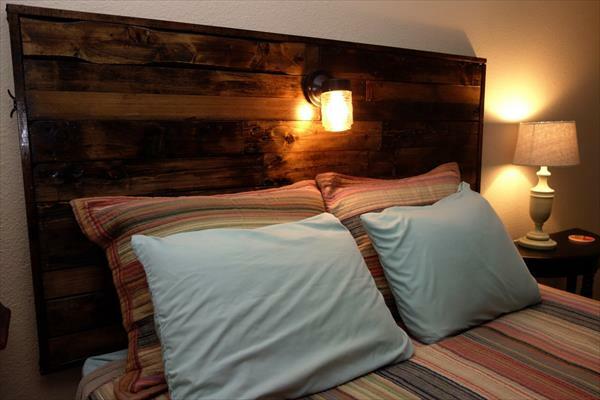 The headboard has been awarded lighting system, as you can see bulbs attached at the top of it, to let you work on laptop or files at night with legs stretched on the cozy bed. Or you can enjoy the reading of your favorite novel or any other book before going to bed. So the headboard has been prepared with the beauty and practicality in mind to serve you the best items at low and manageable costs. It has been painted and sanded slightly so that the natural wood color and texture does not fad away.